Unruly fantasies are a common occurrence when you search the day's automotive classifieds. The ideal car seems to pop up every other day, making you wish that you had just a little (or a lot) more money to pick up that special vehicle you've got your eye on. 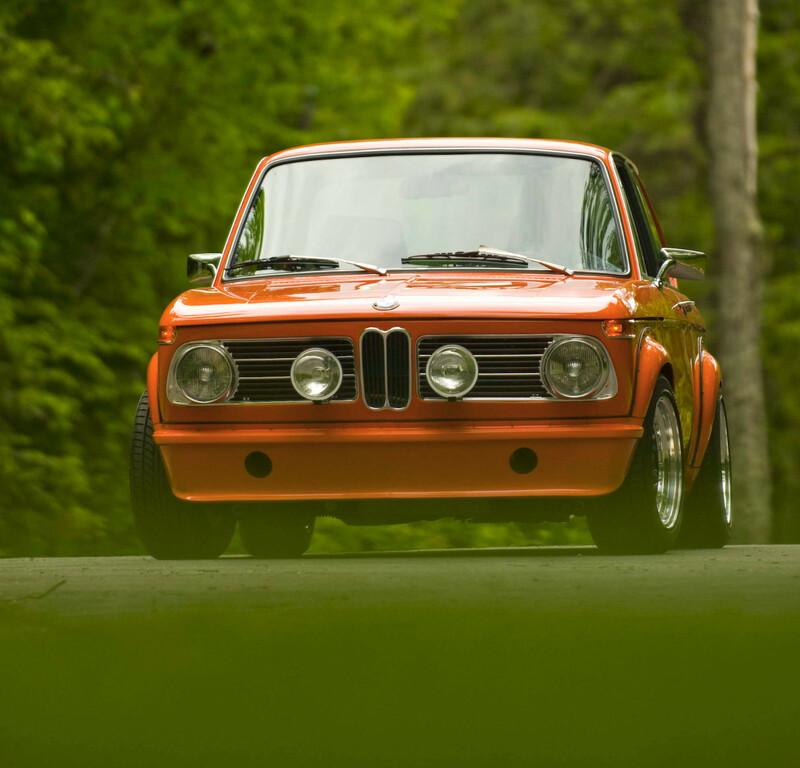 The Bimmer seen below is an exceedingly true case of that, and you wouldn't be alone in saying that this AC Schnitzer BMW 2002 is more seductive than any car that Bavaria has released in the past umpteen years. The 2002tii model in question underwent a frame-up restoration that spanned five years, resulting in a top-tier example of German tuning. It was completed in 2009, and the seller has only driven 450 miles since it's been finished. Aesthetically, the car's condition can't be faulted. Perfectly cared-for Inka Orange paint looks right at home on the "roundie" model's Turbo hips, and a tidy bay alludes even further to the car's paramount. The driver's cockpit doesn't leave you short-changed, either. Period-correct stitching gives off a suitable '70s vibe, and the in-door speakers add a nice, modern touch. This 2002 truly shines, though, when you take a look under its brightly-hued blouse. An AC Schnitzer 2.5-liter S14 engine fits nicely and provides a significant amount of extra oomph to compliment the motorsport-inspired underpinnings. A five-speed Getrag 265 R dogleg gearbox finds itself behind the powerplant and translates power to the rear with stability and poise. Included in the listing are detailed pictures of the build process, helping you to rest easy that the restoration was executed carefully. Check out the Bring a Trailer ad and let us know what you think of this mint example on The Drive's Facebook page. With looks to kill and performance to back it up, this is a solid choice for vintage car lovers. One heapin' helping of retro-styling. 9,000 RPM never sounded so good. You can hear the supercharger whine for miles.